Welcome to the templestay at the Eremita Zen Temple in Einsiedeln. A small place (max. 5 Persons) for contemplating on the true self through a very simple hermitagelike life-style. Only through your determined and thorough examination of body and mind, worth and harmony can be formed. You and everyone with sincere intention is welcome to come and to leave anytime. You are welcome to stay months, weeks, a few days, some hours or just visit to have a coffee as it suits you. The templegates are always open! We eat what will be served (vegetables, meat, fish, etc.) 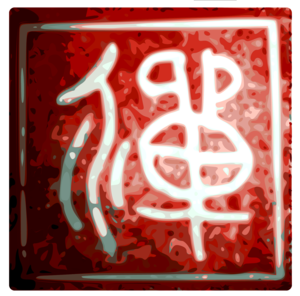 The Zen temple etiquette gives a framework to consciously carry out and process your own words and actions. They intend to make human coexistence smooth and pleasant. Modul (not freely selectable): Zen Meditation, Hiking, Work, Cleaning, Cooking, Gardening, Self study, etc. The schedule can vary. Thursday is a day off (no schedule). Repeaters and children will have a price reduction. Thank you for your understanding. See our donation site here. In the year 2015 we opened the gates to the public. 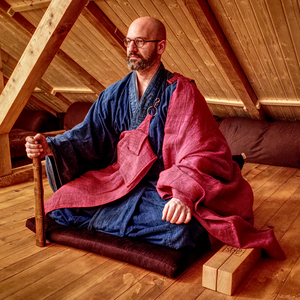 After ten years of continuous reexamination of the words and actions of the wise and holy Ones in japanese and south-korean zen monasteries, Zen Monk Marcel Reding founded, in mutual reliance with the clergy and laity, the Insopor Zen Academy in Switzerland in 2014.